Let’s face it: Sewer problems stink! If you are having a problem that stinks figuratively and literally, we can help. We offer professional odor detection services throughout New Hampshire, and we can help you get to the bottom of the problem. If you are like most homeowners, you probably don’t give your sewer system much thought. As long as everything flushes as it should, you may not even consider the importance of maintenance and repair. It’s important, though, to have the system serviced regularly to ensure optimal function. You also need to call for help right away at the first sign of trouble. If you notice an unusual sulfur odor, it could indicate a serious problem with your system. This unpleasant odor is caused by the hydrogen sulfide that is released from decaying matter. At Rowell’s Services, we can determine exactly where the odor is coming from and help you deal with the problem quickly and in a sanitary manner. 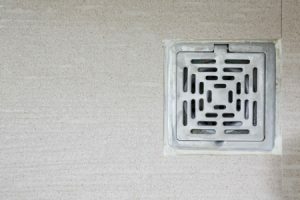 Because your sewage system is responsible for safely removing hazardous materials from your home, it is important to have it repaired at the first sign of trouble. Rowell’s Services offers expert odor detection services using state-of-the-art equipment, and we can find the source of the problem without damaging your home or property. If you have noticed an unusual odor coming from your drains or sewer system, let Rowell’s Services help. To schedule an appointment, please contact us today. Call 603-934-4145.